Should Christian’s do Tai Chi? As we walk with the Lord, every day we are faced with decisions about which direction to take. Recently, I’ve had the opportunity to join with my friends in a Tai Chi class for seniors. It’s proponents claim it to be beneficial for good balance and the prevention of falls. This all sounds innocuous enough. Right? But is it? At first I wanted to join my peers and be a part of this group, but something nagged at my mind. I believe the Holy Spirit made me uncomfortable with the idea, so I decided to look into what Tai Chi really is. I needed to make a decision based on more than just what the pretty flier told me and the enthusiasm of my friends. So, I did some research which I will share with you. Answer: Tai Chi is more specifically called Tai Chi Chuan, which can be translated as “supreme ultimate force.” Tai Chi is a martial art, though it’s often called a “moving meditation” since the movements are done slowly and deliberately, and it is taught more as a meditative and health-enhancing practice than as a martial art. 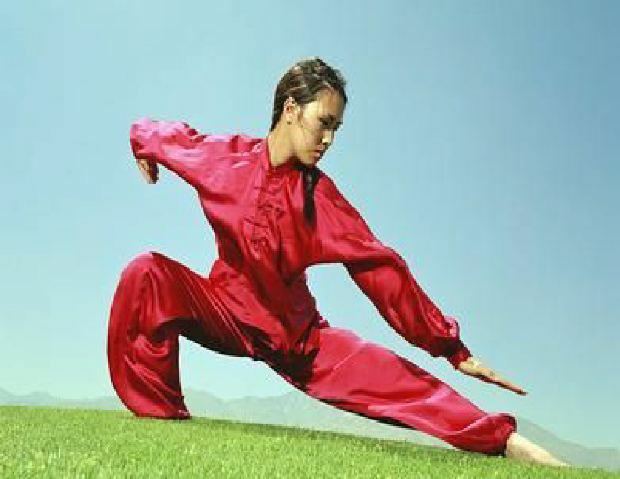 Though its origins are unclear, the foundation of Tai Chi is the Taoist belief in a universal energy called chi (also spelled qi or ki depending on the language of origin). Chi is believed to be the binding life force in the universe, existing both externally and internally, moving through invisible channels in the body called meridians. Taoism teaches that strengthening and reinforcing one’s inner chi will bring good health and long life as well as spiritual benefits. Certain breathing techniques, meditations, and bodily movements are taught to cultivate and enhance the chi. This belief is the basis of Tai Chi. There is no supreme God or Creator in Taoism; all originated from the Tao, which is an impersonal principle or source of creation. From the Tao came yin and yang, two forces that manifested in creation. These forces appear opposite but actually are in a state of constant flux, merging with each other. The chi flows more harmoniously when yin and yang are balanced; this balance is brought about through special diets, herbs, exercises, breathing techniques, and bodily movements. Tai Chi, therefore, has a worldview at odds with the Christian worldview. Tai Chi is based on a Taoist spiritual view of the body and the chi, and how to enhance the chi, a view incompatible with how the Bible tells us we were made—in God’s image (Genesis 1:27). Can we Divorce the Spiritual Aspect of Tai Chi and use it just as an Exercise? Since Tai Chi involves Taoism which is Eastern Mysticism it cannot be reconciled with Christianity. When we do Tai Chi we are to align our energy with the universal energy force or “chi.” It is like trying to mix oil and water. What Direction Can I Find From the Bible? First of all God, in the Bible, tells us not to believe every thing that comes along as being from God. There are many false teachers in the world today and we need to be very careful what we follow. It is easy to follow the crowd, but we are to test the spirits to see if they are from God. Well, I can see from my research that the spirit in Tai Chi is not from God. It is anti-Christian. Therefore, I should not get involved. 1 John 4:1 NASB Beloved, do not believe every spirit, but test the spirits to see whether they are from God, because many false prophets have gone out into the world. I remember as a child some of my friends would join a certain group, or take part in something, and I wanted to also. I wanted to be part of the crowd. Sometimes I would ask my mom with the argument that “all my friends are going, why can’t I?” My mom knew more than myself, (of course, I didn’t think so) and she protected me from doing things that would not be good for me. It is like that with Christians. We want to do what everyone else is doing, but God has given us certain guidelines to follow and we need to go to Him and find out if we should do them or not. I’m thankful for the Bible and the instruction He has given us. He is the perfect parent! The devil would like nothing more than to get us sidetracked from our Christian walk. Do you realize in practicing Tai Chi there is a supernatural aspect to it? Here is another article called, Yoga wasn’t bad enough. Now we have tai chi, as the dark supernatural continues to invade our exercise time. 1 Peter 5:8 NASB Be of sober spirit, be on the alert. Your adversary, the devil, prowls around like a roaring lion, seeking someone to devour. Isn’t it true that today there is much evil that is called good? And, there is good that is called evil! Oh, my, we have to be on alert all the time. How do we measure things? Well, we can either listen to the world or we can listen to God. Keep your Bible handy! Isaiah 5:20 NASB Woe to those who call evil good, and good evil; Who substitute darkness for light and light for darkness; Who substitute bitter for sweet and sweet for bitter! Another good scripture comes to mind. When you put a little bit of yeast into the flour mixture in just a little while the yeast has permeated the whole lump of dough. That is how we make such good tasting bread. But, in the spiritual realm a little bit of false teaching will quickly spoil everything else that is said. We must be very careful and discern the truth. 1 Corinthians 5:6b NASB Do you not know that a little leaven leavens the whole lump of dough? We cannot allow ourselves be destroyed because we don’t know. Today we have many resources available to us and there is really no excuse for ignorance. We need to stay in the Word, and search out answers to anything that comes up that we are not sure about. Hosea 4:6a NASB My people are destroyed for lack of knowledge. God tells us what we must do! 2 Corinthians 6:17 NASB (17) “Therefore, COME OUT FROM THEIR MIDST AND BE SEPARATE,” says the Lord. “AND DO NOT TOUCH WHAT IS UNCLEAN; And I will welcome you. We are not to be conformed to the world, but we are to seek to live in a way that is honoring to the Lord. He calls us to holiness. Here is part of Paul’s prayer for the people in Colosse. And it is my prayer for you. After doing this research I came to the conclusion that doing Tai Chi is not honoring the my wonderful Savior and Lord. It is dabbling in the occult and would not be something He would want me involved with. I’m thankful that the Holy Spirit made me feel uncomfortable and got me to really look into this. I hope what I’ve learned will be helpful to you. Taiji is not evil. I practice taiji and it is nothing more than a martial art. And concerning the chi, it was created when God breathed in to Adam. In the clay there were the 5 elements and when God breathed into the clay, then it was a living person. When doing taiji, I find that my body heats up and I believe it is because all of those elements are working together the way it was meant to be. And I cannot even lift a car over my head. If this was from the devil, wouldn’t these taiji people have demonic strength and just lift a bulldozer over their head. I have seen taiji people spar and they are very skillful, but not so possessed that they can lift a skyscraper. How about telling the taiji people about the God who created the elements. He is God and not the elements. And if they think the elements are great then what about the God, Jesus who created them. And the elements can only give you good health \, but can not in anyway save you from hell. Their is a connection, but at the same time there is no connection between taoism and Jesus. We are told to not worship the elements. But that does not mean they don’t exist. I really cannot debate Taoism with you because you seem to be an expert on it and I really do not know much about it. But, I do know about Biblical Christianity. I will not be deceived like Eve was in the Garden when Satan tricked her into false beliefs. same one that you speak of. My God is a person not an impersonal force. Jesus Christ is God in the flesh, He is deity. And not everyone has the Holy Spirit in them. Only Christians. When a Christian gets saved they are baptized into the body of Christ by the Holy Spirit and the Holy Spirit comes to indwell them. They receive ALL of the Holy Spirit at that time, not just a small amount. The Holy Spirit is the third person of the Godhead, and He is given to us to help us live our Christian lives and understand and learn about God from the Bible. My article is about Christians and if they should practice Tai Chi. After all of this back and forth with you and my studying a bit more online I still maintain that we should not be involved in this kind of thing. It is a form of Eastern religion and actually it’s roots are Satanic. There are accounts of people who have participated in this and in time they were possessed or oppressed by evil spirits. Knowing this I cannot see why anyone who calls themselves a Christian would want to open themselves up to such things. It is against God and is an act of rebellion against Him. Sure we can exercise, we can practice good posture, and good balance, but we do not have to go to some opposing force to do it. Beware of the evil side of it. 2 Corinthians 6:14 KJV Be ye not unequally yoked together with unbelievers: for what fellowship hath righteousness with unrighteousness? and what communion hath light with darkness? Around A.D. 525, a Zen Buddhist monk by the name of Boddhidarma traveled from India to China’s Shaolin monastery. There he combined Chinese boxing or fighting techniques with yogic breathing exercises to improve the health of the monks. The monks eventually mixed their religion of Taoism with India’s Buddhism in their martial exercises. From China’s ancient monasteries all martial arts systems are founded, no matter what the name, they all have their roots in ancient China and philosophies in India. The Chinese monks soon learned to combine physical exercise with breathing techniques, meditation, and inner body control to develop needed fighting and healing skills. Inner strength or a high level of chi development always outperformed pure physical strength alone. Allow me to explain the concept of chi. Chi Kung combines breathing, postures, movement, and meditation to keep and maintain health and promote a state of wellbeing. It is sometimes called breathing exercises, longevity method, or internal training. Just as in yoga, Chi Kung exercises are often promoted on the belief that it brings health and wellness benefits to its practitioners. Of course, for some martial artists, the promise of extraordinary fighting ability is too much to resist. In Chinese Chi Kung, meditation is key. The slow subtle movements of Tai Chi (once a real fighting system) are nothing more than a moving meditation, or a moving yoga. Concentrating on the breath and emptying the mind are most important. In the Japanese arts, chi is referred to as ki, and Chinese movements (“forms”) are referred to as katas. They all have the same source as explained earlier. The sect of Shaolin is an offshoot of the Buddhist school known in Chinese as Ch’an and in Japanese Zen. Most martial arts schools in the West do not concern themselves with the religious aspects, but rather are concerned with the non-religious or philosophical aspects of a mixture of Taoism and Buddhism. The philosophical Taoist is atheist and deity independent looking to nature for harmony rather than to a god. By looking to nature, the ancients observed the fighting skills of various animals, and copied these movements. Thus, many systems of Shaolin Kung Fu are named after animals; i.e., tiger, dragon, white crane, drunken monkey, etc. Chinese Taoism seems to have originated from a Chinese sage named Lao Tzu, who wrote down his wisdom in a book called the Tao Te Ching, or The Book of the Way. It is also a book of divination, used for centuries to predict the future. It is still highly regarded and used in business. I used to consult the “oracle” and used its predictions to make some of the most important decisions of my life. It is his philosophy of the YIN and the YANG concept of the universe, which roots philosophical Taoism. YIN and YANG are opposites that make the universe run. Concepts of soft and hard, light and dark, female and male, good and bad cannot exist without one another. The YIN/YANG symbol of two intertwined “fish” can be found in modern businesses and in numerous martial arts schools. I know one Christian martial arts instructor who uses this symbol on his Christian martial arts business cards. Martial artists apply this knowledge in their art by realizing their “style” of fighting is neither hard nor soft, but all styles combine the essence of both, just as the Tao does. So, one can “softly” deflect or absorb an opponent’s energy within a strike, and then attack the opponent “hard” using the concept of YIN and YANG. An undiscerning Christian or parent may not recognize the Taoist philosophy contained in the lesson, and perhaps even the instructor may not realize the roots of his teaching. The famous influential martial artist Bruce Lee used the YIN/YANG symbol in his Jeet Kune Do emblem. Lee integrated the martial arts with Taoism. He wrote, “The point is to utilize the art as a means to advance The Way (the Tao).” He also believed, “Technical skill is subordinate to the psychic training, which will finally raise the practitioner even to the level of high spirituality.” Bruce Lee is still admired by many people for his martial arts skills and movies. He has influenced an entire generation of young martial artists. However, his philosophy was pure Taoism. Martial arts systems that are referred to as “internal systems” because of their emphasis on cultivating the chi such as Hsing-I, Pakua, and T’ai Chi Ch’uan were founded by theistic Taoists, which developed complicated schools of ceremonial magic. Yes, magic. The movements of the martial art Pakua are based on the building of hexagrams contained in the ancient Chinese book of divination, the I-Ching. Again, after studying some of these internal arts in search for more fighting power, I found myself using the I-Ching to make the most important decisions in my life. I learned the method of building hexagrams by meditating, tossing three quarters and consulting the I-Ching for its divining interpretation. This is considered occult magic. Tai Chi or any other Far-Eastern Pagan practice or philosophy is absolutely INCOMPATIBLE with a true Biblical Christianity, period! Nice summary of the way Taoism affected martial arts and influenced viewpoints of many. The caution should be exercised, though, attempting to generalize those few interesting observations attempting to describe the original Taoism as presented by Lao Tze , Zhuang Tze and some other contemporaries of theirs. Indeed, described Tao is not Tao. 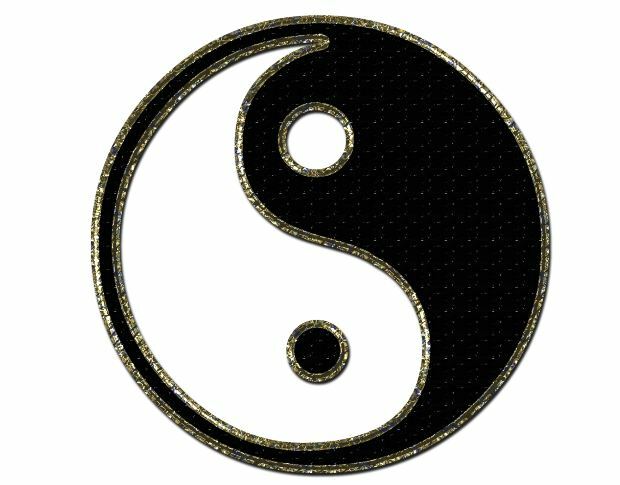 Tao (or God in the western terminology) finds its way via Ying and Yang complementarity, by the creation of Chi (by the Holy Spirit in the western terminology) everywhere. We themselves are active vessels for Tao (Holy Spirit) and as such, by approaching it, yearning to become one with it and its ways, can achieve those goals that we think important. For some, those goals can be martial art prowess. Others can use Chi for improving health. Someone who is searching for spirits and magic will use what is God’s gift to create the entities sought. The (incomplete) knowledge of Tao and human ways to approach it are just the instruments of bringing yourself to the reality, which could be used to different ends. For one, common use of Chi concepts for health improvement/martial arts is about as meaningful as using a bouquet of flowers to clean a toilet. Does it mean that cleaning toilets is the purpose of the bouquet? The articles skips the mention that Tao i Taoism is also benvolent, and has its “likes” and “dislikes”. Therefore, Tao is just another name of the God, such as Almighty, Lord etc. Therefore, there is no contradiction between Taoism and Christianity; more than that: writings of Lao Tzu, (co)founder of Taoism, predict coming of the Son of God, and proclame many New Testament ideas – all that 500+ years BC. He said He is *the way* and not Tao. Yes, there is a contradiction between Taoism and Christianity. They are miles apart. You also said that Lao Tzu (co) founder of Taoism, predicted the coming of the Son of God and proclaimed many New Testament ideas – all that 500+ years BC. Genesis 3:15 KJV And I will put enmity between thee and the woman, and between thy seed and her seed; it shall bruise thy head, and thou shalt bruise his heel. God is talking to Satan and he is told that the offspring of the woman would eventually crush the serpent’s head, a promise fulfilled in Christ’s victory over Satan. This is the first mention of Christ in the Bible. Although we could argue that Genesis 1:1 is the very first mention. Genesis 1:1 NASB In the beginning God created the heavens and the earth. God created and we know that God consists of God the Father, the Son, and the Holy Spirit, so Jesus was there involved in the creation process. My point is this: Genesis was written from 1450 BC to 1410 BC which is much more than 500 years BC. Perhaps Lao Uzu has read a Bible somewhere? John 1:1-4 NASB In the beginning was the Word, and the Word was with God, and the Word was God. (2) He was in the beginning with God. (3) All things came into being through Him, and apart from Him nothing came into being that has come into being. (4) In Him was life, and the life was the Light of men. In this portion of scripture we learn that Jesus Christ is the Word, and He was there in the beginning, He was with God and He was God. Then it says that *all things came into being through Him. *He created everything. In Christianity we do not believe there is such a thing as chi, or an ultimate, impersonal energy force. We believe in the person of God, Jesus Christ and the Holy Spirit. Yes, all three are persons of the Godhead. 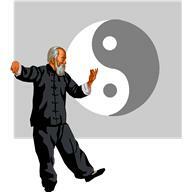 In Tai Chi one tries to balance the energy force of chi for good balance, health, and so on. Christians on the other hand do not believe in trying to manipulate an impersonal force for better health. We look to God for our health. We pray, we learn what the Bible teaches, and we follow it. There is nothing wrong with exercise. Anyone can exercise, you can go for a walk, jog, do exercises from an exercise video, but we do not have to do things that are related to the martial arts, or Eastern religions. They are off limits for us, as that would be going against what God teaches us. When we do these things such as Tai Chi and Yoga, we are opening ourselves up to the evil spiritual world that is all around us just waiting to harm us. My advise is to steer clear from those things that are foreign to us and stick with what we know God will be pleased with. We can be healthy and happy serving our master Jesus Christ. Taoism doesn’t believe in sin either. It doesn’t believe in an afterlife like we do. It doesn’t believe in the God of the Bible or of Jesus Christ. Man’s problem is not that he must learn to balance his yin and yang energy force called chi. No, his problem is that he is a sinner. The God of the Bible created mankind. Satan entered into the picture and persuaded Eve and then Adam to sin. From then on all human beings were born with a sin nature. The Bible tells us that “the wages of sin is death.” There is only one way to get around this. God sent His Son, Jesus Christ, to come to the earth, take on our sin debt, and die a horrific death on the cross in our place. If anyone believes what the Bible teaches; that Jesus died on the cross for our sins, that he was buried in the ground, and that on the third day he arose again to new life, then they can become a Christian. They have to realize that they are a sinner, that they deserve death, but that Christ offers them the free gift of life. They need to repent of their sin, (turn from it) and embrace a new life with Christ empowered by the Holy Spirit. They need to pray to God and ask Him to allow them to be adopted into His family. The original Taoist texts, as those by Lao Tzu and Chuang Tzu (Quang Tzu), published around 560 BC, describe a set of attitudes, as well as behavioral and moral norms of which Christian’s are, a by and large, a subset. In particular, Taoism contradicts New Testament in nothing, and only one contradiction to modern interpretation of mainstream Christianity exists. The latter is related to the zoroastrism-inspired doctrine of “permanent fight of good and evil” to which we are to participate for the sake of salvation. I will not go to details explaining the difference and its significance here, unless asked otherwise. Indeed, the Taoist texts use different, non-avraamic, non-christian terminology to denote same things. For example, Tao (translated as “the way things are”, “what is”) is an equivalent to God-father, Ying and Yang together are equivalents to the Holy Spirit as the active, creative force, manifestation of same God. The Son of God is a human whose unity with Tao, unity with God, is so advanced that his actions and abilities are in essence those of the Tao / God Himself. Everybody is given the Holy Spirit to larger or smaller extent, but only Jesus had received so much that even His human flesh was transfigured after the Resurrection. Interestingly enough, this solves the long-standing “problem” of the Christianity with the human nature of Christ. If the Christ is human, how could he be “the same” as the God Father? And why did he say that “the Father is more than I”? (indeed, Christianity attempted to solve that contradiction, too). One can find multiple parallels in Tao Te Ching and Old Testament, as the books were inspired, after all, by the same God, though written at different times. Most striking are parallels not to the Old, but to the New Testament. For example, the impossible cornerstone Christian idea of love not just to your neighbors, but to your enemies, was pre-told more than 500 years BC (though the western-cultural word “love” was not used in the ancient Chinese texts). The conversation of the spiritual parallels of Christianity and Taoism can be indeed longer than the format of this reply allows. Why can’t you play?It is not conflited with your reigion. You see,playing Tai Chi is beneficial to our health.Doen’t Lord want you to be healthy? Hi, Yes, the Lord wants us to be healthy and to talk care of our bodies, but not at any cost. He doesn’t want us to us the devil’s methods of healing and health. Tai Chi DOES conflict with my religion. Tai Chi is an eastern religious practice that comes out of Taoism. Taoism is not compatable with Christianity. In Taoism there is the belief that a “supreme ultimate force,” holds the world together, and it exists both in the world and in and through us. There is nothing like this to be found in the Bible. Christians are followers of Jesus Christ, the one and only Son of God. The One who died on the cross to take away our sins and give us eternal life. God gives us life. We cannot mix the ideas of Taoism with Christianity. They do not believe in God, and they do not believe in Jesus Christ or sin. So, you can see we are far apart and not compatable at all. These are two entirely different views. They cannot be integrated. Tai Chi is not anything to play around with. It is dangerous and can lead you into all kinds of trouble. We has humans simply do our best to observe this. The Chinese observe his presence as Chi. Energy. That which is felt, not seen. Tai Chi and the movement of energy in its purest form is just that; the observation of the already existing energies of the universe. Spirituality is at its core simplistic. The complexities of man have disturbed the natural way of things. I was always amazed with those claiming the knowledge (allegedly intimate) of what God wants or does not want. Or what He is or is not. Sometimes, it looks almost like they confuse their mouth with that of God. Michael, It is possible to know what God wants or does not want. And, what He is or is not. It truly is possible. It is all right there in the Word of God. He has told us what he is like, and what he wants from us. There is no mystery about it. The Apostle Paul was writing to the church in Colosse and he penned these words in 2 Colossians verses 2-3 “My purpose is that they may be encouraged in heart and united in love, so that they may have the full riches of complete understanding, in order that they may know the mystery of God, namely, /Christ,//in whom are hidden all the treasures of wisdom and knowledge.”/ Isn’t that beautiful? This is a statement, unproven as yet. OK, let us see what follows..
To answer last question first, no, I find this paragraph not beautiful, but interesting albeit limited in scope. This paragraph definitely does not prove or confirm your first statement above. It simply states that a) ap. Paul encourages Colossians to rely on his teachings, and b) promises in return thorough knowledge of MYSTERY of God the Father and Christ. Mysteries of God have little to do with knowledge of God wants or His essence. Finally, deep, thorough knowledge of God might be possible for some saints, as a result of unity with Him in sainthood. Claiming such now by anyone is at least arrogant, at most obnoxious. Michel, I was not trying to prove anything by my first general statement. All about God, what He is like, what He wants, etc. are found in the Bible. You have to read and study it to find these things out. The next paragraph was not trying to prove the first. I’m just showing you that the Apostle Paul who was writing under the inspiration of the Holy Spirit is telling his readers his reason for writing this. HE wants them to be encouraged in their hearts, and united with each other in their love for one another in order that they may have the full richness of complete understanding. This is so that they may know the mystery of God. This mystery is Jesus Christ, and in Him are hidden the treasures of wisdom and knowledge. All the wisdom and knowledge we need to live the Christian life. Commentary by Barnes: Are hid – Like treasures that are concealed or garnered up. It does not mean that none of those “treasures” had been developed; but that, so to speak, Christ, as Mediator, was the great treasure-house where were to be found all the wisdom and knowledge needful for people. All the treasures – It is common to compare any thing valuable with “treasures” of silver or gold. The idea here is, that in reference to the wisdom and knowledge needful for us, Christ is what abundant treasures are in reference to the supply of our wants. Wisdom – The wisdom needful for our salvation. Notes, 1Co_1:24. And knowledge – The knowledge which is requisite to guide us in the way to life. Christ is able to instruct us in all that it is desirable for us to know, so that it is not necessary for us to apply to philosophy, or to the teachings of human beings. Bruce, Christianity in my view is NOT a religion, but instead a faith. Christians are followers of Christ. The God of the Bible is our one true God. We are to have a personal relationship with Jesus Christ our Lord and Savior. There is a problem with your theory. You see man is a sinner and our God is holy. The two can’t be together. Does your “religion” have a way to reconcile this? You must admit that you sin, right? That is why God had to send Jesus Christ his Son to the earth in the form of a man to identify with man. He was sinless because He was and is deity. Jesus took our sins on him when he hung on the cross and reconciled man to God. He paid our debt. God has said that the wages of sin is death. Hell is real and those that go there are in punishment for eternity. The only way one can get to heaven is to believe what Jesus did for us and submit to Him.